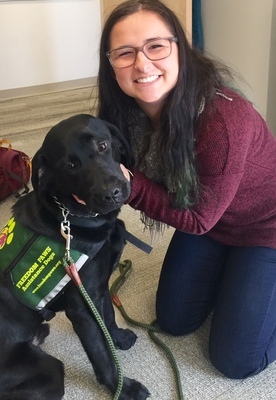 Tori Sullivan with her dog that she is training for Freedom Paws. Boose, Annette, "Allied Health 34" (2016). All Health and Sport Sciences Images. 259.